Stay active this winter and get a head start on your New Year’s resolutions with a membership to the River Rock. We offer single (adult or youth), couples, or family memberships. This sale is only applicable to our Electronic Funds Transfer (EFT) memberships. Sign up as an EFT member by February 20th and we’ll waive the $35/$50 startup fee! Maintain your membership in good standing (no freezes or cancellations) for the duration of 2017 we will give you a free month – January of 2018! Just come into the gym and we will set you up for your membership and have you climbing into the New Year! 2 Guest Passes per membership account, per month. Individual members get two each – couples or families get a total of two. You may use one pass per individual guest per month. Free rentals included for guests. A monthly value of up to $46. FREE rental gear for the duration of your EFT membership. Access to our new fitness area – it’s just for members! Three strength training classes a week provided by a certified trainer – FREE to River Rock members. 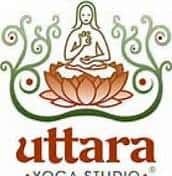 Yoga classes at the River Rock are provided by Uttara Yoga Studio and are FREE to River Rock members. Two classes a week to choose from. Special Members pricing for all gym programs and classes. 10% off retail items purchased at the River Rock. 10% discount on organized birthday parties. 10% discount on River Rock retail items (shirts, snacks, hats, books, etc.). 10% discount at the Wasena City Tap Room every Wednesday. 10% discount at Outdoor Trails. 10% discount at Backcountry Ski & Sports. 10% off Parts & Accessories and 10% off of your first bike tune-up at Under Dog Bikes, located on the greenway. The term Electronic Funds Transfer (EFT) is the movement of funds electronically between banking accounts. We link to the account of your choice to draft monthly dues for the membership on a set date for the monthly reoccurring membership charge. What date do you process EFT payments? We process payments on the 21st of each month. The account you have set to withdraw the membership dues will be charged on or shortly after this date each month. How do I cancel an EFT membership? Just give us 30 days notice in advance of the billing date. We have cancellation forms online through our membership benefits page or hard copies you can fill out at the gym. We need to receive them prior to the 21st of each month to cancel withdraw for the upcoming month. Your membership would expire on the 20th of the preceding month. What is the difference between EFT and Prepaid Memberships? EFT is a month to month ongoing membership, and our best value. 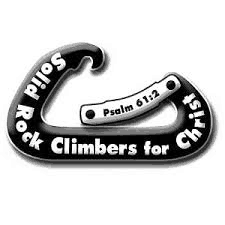 A prepaid is purchasing (at a higher rate) 30 days of climbing at a time.